One of 2016's largest projects is set to continue the high density infill between Yarra's Edge and the emerging Fishermans Bend Precinct. 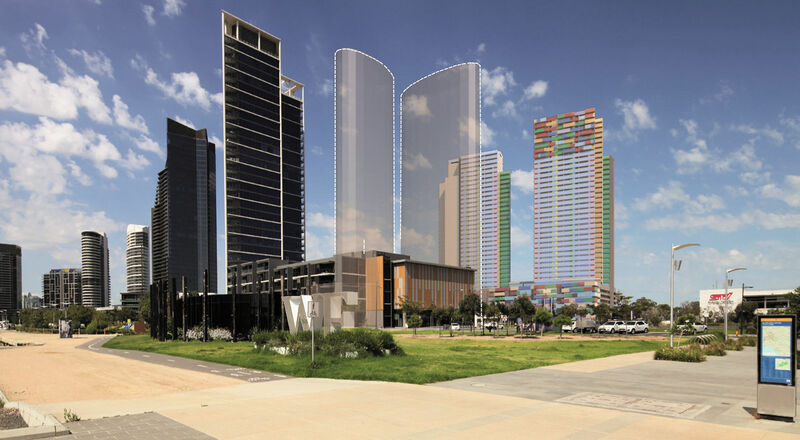 Created by MGS Architects, the dual residential tower scheme's most striking feature is its multi-colured facade which is designed as a contemporary interpretation of the nearby shipping yards. Located at 13-33 Hartley Street on the perimeter of Docklands, the site is hard up against the West Gate Freeway and adjacent to the recently sold development site at 85-93 Lorimer Street. 13-33 Hartley Street will also enjoy frontage to the park which forms part of the permit approved 85-93 Lorimer Street, which was designed by Elenberg Fraser. Kew-based entity Claric Ninety Nine Pty Ltd is the proponent behind the Hartley Street development. The Port of Melbourne is Australia’s largest container terminal and has a very significant impact on the local landscape. Viewed from above neatly arranged rows of colourful containers from all parts of the world animate an otherwise dull industrial port. The great Australian painter Jeffrey Smart was known for his stylised depictions of urban landscapes. He had a particular fascination with roads and road signs which he rendered with a stark reality and precision. 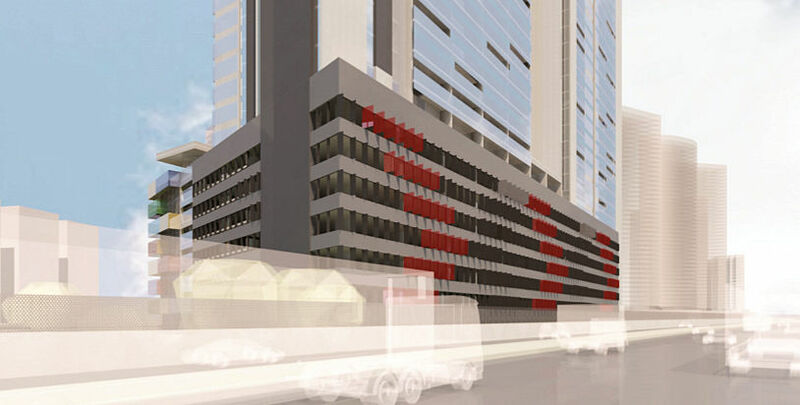 We have treated the car parking podium of the building as a canvas for an over scaled road sign. In this case the sign however is not read as a flat painted surface but as a series of projecting screens that morph into view on approach. The signage is directional and changes in accordance with the location of the observer. Single bedroom dwellings range in size between 48-59sqm, with dual bedroom apartments spread over 67-125sqm. While three bedrooms range between 120-167sqm, MGS Architects have included 14 four bedroom apartments; somewhat of an oddity when considering the wider Melbourne apartment landscape. These four bedroom apartments have an area of some 200sqm. Every apartment is provided with a balcony that is located directly off the living area, with south facing dwellings afforded winter gardens that span the full width of the dwelling. It is worth noting that according to the submitted documents, 'Saddle Back’ bedrooms occurs in 2 of 12 apartments per typical floor on the west tower and in 2 of 9 apartments per typical floor on the east tower. 'Saddle Back’ apartments are a point of contention in the current Melbourne planning climate owing to the lack of direct access to natural light. As part of the intended development, 912sqm of the site area will be seeded to infrastructure needs, with open space accounting for another 1,826sqm. When combining 13-33 Hartley Street's 612 apartments with those of 85-93 Lorimer Street and Mirvac's upcoming Voyager Tower, there exists the potential for a further 1,868 apartments to be pumped into the sliver of Docklands land south of the Yarra River. Potential future development sites that fall within this section of Docklands will be largely confined to a tract of land west of Hartley Street; beyond that adjoining areas fall under Fishermans Bend and its differing planning controls.